mommy's reviews: Hop Around Friday! Thanks for visiting me, I am your newest follower! 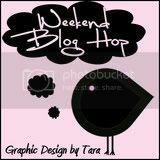 Check out my blog design give away today! Thanks for joining Fab Fri. Follow. I'm now following you back. Heading over to your other blogs too! Have a great weekend. I am your newest follower. Thanks for your comment on my blog-I hope your 2 yr old loves the dyed rice art!!!! Thank you for the follow! I am following now. I hope your babies get well soon! Hi there! I am following you back. Thanks so much for stopping by. Have a great weekend! Hi Thanks for following Imagination-Cafe blog. I'm returning the "Blog Love"
I am following you back. Thanks for linking up today. Hi! Thanks for following :) I'm following you back! Thanks for following New To Mom! I'm following back.